Picture a phone you dont have to work for, but that works just for you. One where the keys are large enough to push individually, where the content on-screen can be seen without squinting, and where every conversation can be heard the very first time. LGs Exalt 2 is easy to use and even easier to love. 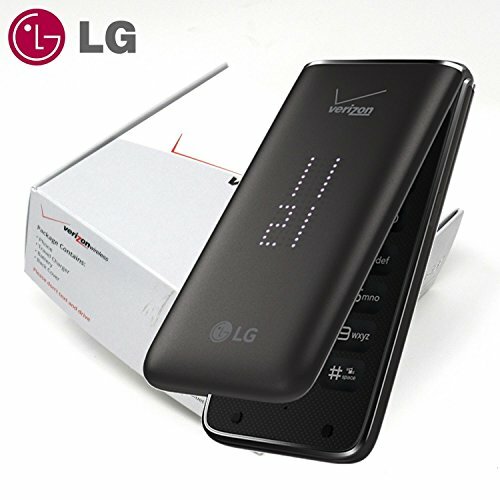 It will read texts aloud, display content largely and clearly, and even provide bright LED information at a glance.Network Type: CDMA Carrier: Verizon Wireless Device has a slot for a MicroSD memory card. Does not have a slot for a SIM card. Whats in the Box: Handset, Battery, Battery Door, USB Charging Cable, Warranty Card, Userguide can be emailed or downloaded from listing details.